Find Out If Your Body Needs Specific "Nutrients"
Most Americans are eating a less than optimal diet, so some kind of multivitamin and mineral supplement (or a whole food nutrition supplement) is needed to supply nutrients that may be missing from the diet. The body needs good fats for brain and glandular function, cellular health and immune regulation. Find out if you need fatty acids here. Important for proper elimination, it also inhibits toxins from being absorbed into the body. Few people obtain the trace minerals they need to keep teeth, bones, hair, skin, etc. healthy. Acid reflux, acid indigestion, upset stomachs, gas, bloating and belching are caused by a lack of enzymes. This lack also contributes to other health problems, including food and respiratory allergies, sinus congestion, auto-immune conditions, intestinal infections, parasites and more. The health of our intestinal tract is largely dependent upon maintaining a healthy balance of "microbes." Probiotics protect the body against infection from E. coli, yeast and other unfriendly microbes. Find out if you need probiotics here. Heart disease, cancer, diabetes, arthritis, dementia, Alzheimer's, Parkinson's and a host of other chronic diseases are not the inevitable products of old age, they are caused, in part, by a lack of antioxidants in the diet to protect the body from inflammation and free radical damage. Like the musicians who make up an orchestra, the body systems -digestive, intestinal, circulatory, nervous, immune, respiratory, urinary, glandular and structural-must all work in harmony. When a concern in one body system arises, other systems are affected. Find out here which of your body "systems" need help. Why do people purchase insurance? Because it offers some peace of mind that they're "covered" in case of accident, illness or other emergencies. Well, a basic nutritional supplement can be thought of as your nutritional health insurance. 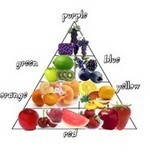 It's something you take to make sure you're getting most of the basic nutrients the body needs everyday. There are many reasons why we might not get the nutrition we need. It's easy to see that refined and processed foods have been stripped of much of their nutritional value, but there are other "hidden" causes of nutrient depletion. For starters, most "fresh" produce at the supermarket is at least 10- 14 days old. This long delay between harvest and consumption results in the loss of both flavor and nutrition. This produce is often picked before it is fully ripe, which means it never developed it's full nutritional content. And, if that isn't bad enough, modern agricultural methods have resulted in the loss of minerals (and to a lesser degree vitamins and other nutrients) from our food. If we lived in an ideal world where we had access to really fresh, organically grown natural food all the time, we wouldn't need nutritional supplements at all. But because most of us have to "cheat" on nutritional quality for the sake of convenience, it makes sense to take a basic nutritional supplement to ensure we're at least getting the basic amounts of the nutrients the body needs. Do not take cheap vitamin and mineral supplements. They are the "junk food" of the supplement industry. Use a high-quality vitamin and mineral supplement like Super Supplemental. Even better, instead of a multi-vitamin, use a whole food supplement like Ultimate GreenZone. This will give you extra vitamins and minerals in a whole food form, which is even better.